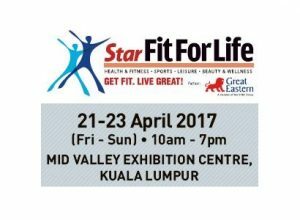 FitForLife KL 2017, with the theme “Get Fit. Live Great!” aims to inspire Malaysians to lead a healthy lifestyle by being physically and mentally fit. FitForLife KL 2017 is organised by Star Media Group Berhad with Great Eastern Life as exclusive event partner. With more than 50 exhibitors highlighting the latest healthy lifestyle tips including nutrition, health checks, fitness and diet trends, visitors will be spoilt for choice. This time around, in addition to health talks and stage activities, there will also be the Walk the Distance virtual walkathon, where participants will need to download a step counter app on their smartphones before they start the challenge of walking at least 210,000 steps within a three-week period – anywhere, anytime, any day till April 23. Walkers will be given a token of participation, as well as a chance to take part in the grand finale, which will be limited to 100 participants a day during the event days. 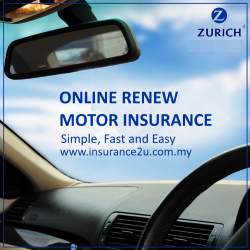 The fair will be held in Halls 1 to 3 of the Mid Valley Exhibition Centre from April 21 to 23. It is open from 10am to 7pm and admission is free. 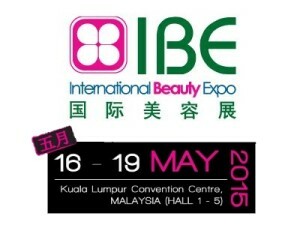 International Beauty Expo (IBE) puts forth the precept of ‘Impressive Beyond Expectation’ with an attempt to emerge an unsurpassed exhibition – one that promises to provide a pivotal role in creating mass opportunities for exhibitors and buyers alike to establish solid networking connections and business deals, hence fortifying macro ties within the global beauty arena. IBE is now recognized as the Malaysia’s best sourcing platform for over millions of professional and latest products, services, brands, trends, tools & equipments, technologies and etc. This annual beauty extravaganza has gathered all items for industry use under one roof.